Luxembourg’s size makes it one of the forgotten countries in Europe, but if you are traveling through the region you could do far worse than to spend a little time in this historic duchy. Sandwiched between France, Belgium, and Germany, it definitely takes on characteristics of its neighbors, but there is plenty to make it unique at the same time. With one of the highest standards of living in the world, the locals are probably fine with being ignored, but let’s have a look anyway, shall we? 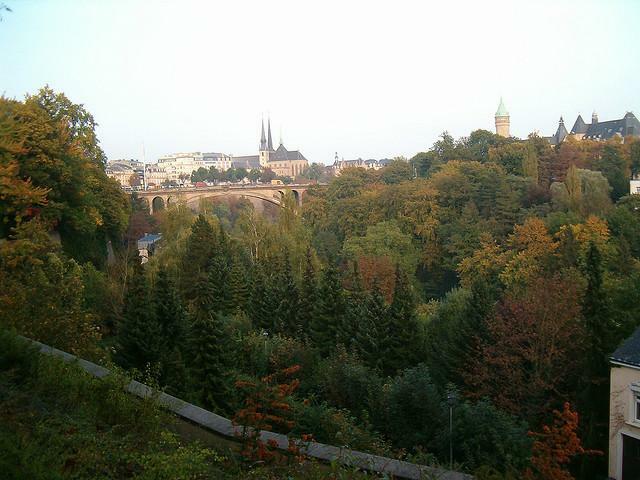 Luxembourg City is the largest city and obvious focal point. The location itself, perched on a hill overlooking two valleys, makes for some stunning views. There is a cathedral and palace in the center that are both worthwhile attractions and a series of military caves known as casemates are open for tours and provide excellent views in addition to the fascinating history of the caves themselves. For something a little different, there is a huge American war memorial and cemetery within the city where General George Patton is among the buried. The Moselle Valley is one of the area’s more famous wine regions. Known for their sweet and fruity whites, the areas wineries are a big draw from spring through autumn. There are several prominent wineries along the Moselle River and tours and tastings, of course, are available. Many will arrive in Luxembourg by train using their Eurail Pass. Get one through BootsnAll. Many come by car, but Luxembourg also has an aiport. You can book a flight into Luxembourg, but being a small airport, good deals tend to be hard to come by, so usually it’s best to check prices into Paris or Frankfurt as well. The airport is close to the city and buses between the two are frequent. There are hostels in Luxembourg to help save a few bucks. The city is small and the center is very nice, so consider paying a bit more for a great location.